Burst fractures are common in the thoracolumbar junction and account for 17% of all major spinal fractures. There is a considerable controversy on the efficacy of conservative treatment and the need for surgical intervention. 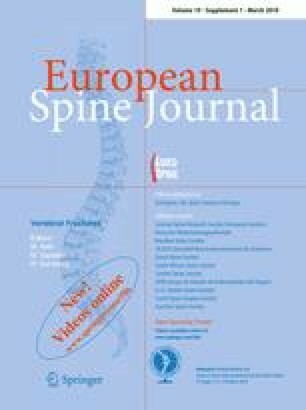 Need for additional stability, prevention of neurological deterioration, attainment of canal clearance, prevention of kyphosis and early relief of pain are the commonly quoted reasons for surgical intervention. However, a careful review of literature does not validate any of the above arguments. The available randomised control trials prove that the results of conservative treatment for burst fractures are equal to that of surgery and also with lesser complications. Surgery for burst fractures may, however, have definite advantages in patients with polytrauma or in the rare event of deteriorating neurology. It is also important for the treating surgeon to clearly distinguish a burst fracture from other inherently unstable injuries like fracture dislocations, chance fractures and flexion rotation injuries which require surgical stabilisation. The author thanks Dr Kamath HD Vijay and Dr J Naresh Babu for the help in preparation of the manuscript.